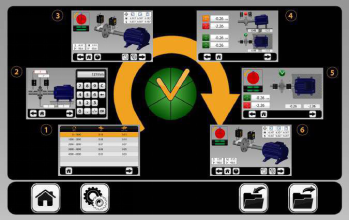 Accurate alignment of equipment helps solve machine problems such as decreased running speed, bearing and coupling failures, abnormal vibration, roll cover damage, and improper nip impression. 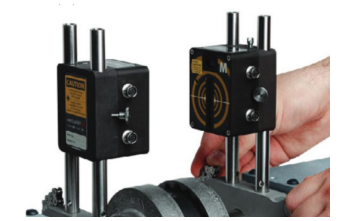 We offer a complete range of services for Laser Alignment for all types of rotating machines in Horizontal, vertical/flange-mounted and cardan-shaft-coupled drive. 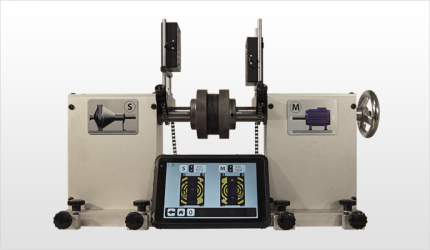 We have instrument with program feature to undertake alignment jobs. We are providing regular alignment & Vibration Consultancy services for Viraj Steel Plant, Cabot India, Hi- Tech Carbon, Jindal Steel Plant, Glassstech India Glass Company etc. Pumps, Motor / Alternators / Gear Boxes / Cooling Tower Assembly / Turbines / Spindles and any type of drive and Machine Assembly. The vast majority of couplings used in the industry are flexible couplings and they require precision alignment. Coupling tolerances are just that, for the coupling. The forces generated by misaligned flexible couplings are still being transmitted to the seals and bearings of the machine. Forces generate excess heat which leads to energy losses and decreased bearing and seal life.